Either that dude couldn't wait to get home for the unboxing or he was Jonesin' for some wi-fi. Looks like he just bought it and couldn't wait to get home to try it out. 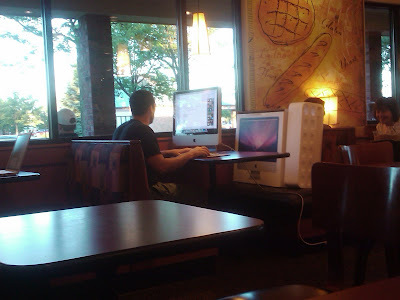 At least he bought a Mac.